Let’s get this out of the way, I won’t be adding a second draft team to my resume this EPL season. In fact, I was having reservations to even participate in yesterday’s draft, as the game is losing a bit of its luster and reminding me too much of fantasy (American) football, which features the same snake style draft in order to build your unique team. As I watched the time count down to the start the of draft I waited to see my draft position and was pleased to be listed as #2. This meant I was ensured of adding a premium forward to build around. It wasn’t long after selecting Kun Aguero with the second pick overall, bypass the likes of Sanchez and Lukaku that I tabbed to another window on the PC to wait my second pick. When I tabbed back to the draft it should me to be “away” and suddenly it was the 4th round! I had missed two rounds but hadn’t been away for more than about 60 seconds. 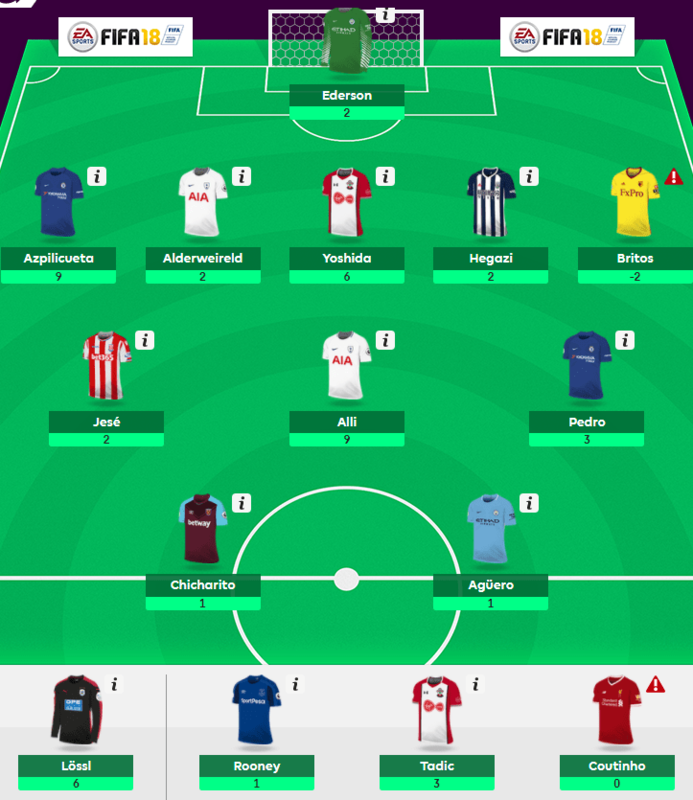 Thankfully I saw this as a blessing in disguise, as I ended up with Dele Alli and Phillipe Coutinho in those rounds. Not sure I could have asked for anything better. Right? With a good core built around these three players I watched the draft progress and concluded there were only 3 managers who were participating, thus the quick down and back in the draft where I was picking nearly back to back in quick succession. Round 4 came down to either Defore or Benteke. Quickly weighing the different factors I selected the journeyman, Defoe as my second forward before returning in round 5 with Pedro. My team was coming together nicely and honestly better than I had hoped. The decision was made prior to the draft not to select keepers or defenders until the final 7 selections of the draft. While it might mean I wouldn’t get the likes of Alonso, it didn’t really concern me knowing my defense would be rather stout and potentially have a good rotation between the pipes. The next two rounds saw Wayne Rooney and new boy, Davy Klassen join my squad. While neither will see much action after GW1, I felt both were some of the best talent remaining on the board as we hit the mid rounds. Speaking of Alonso, he was selected two picks after Klassen as the 49th player taken. Ahead of players such as Lanzini, Willian, Zaha, Ramsey and Fabergas. Lots of £7.0 midfielders, be curious to see how this works out in the draft game, as well as the traditional game. 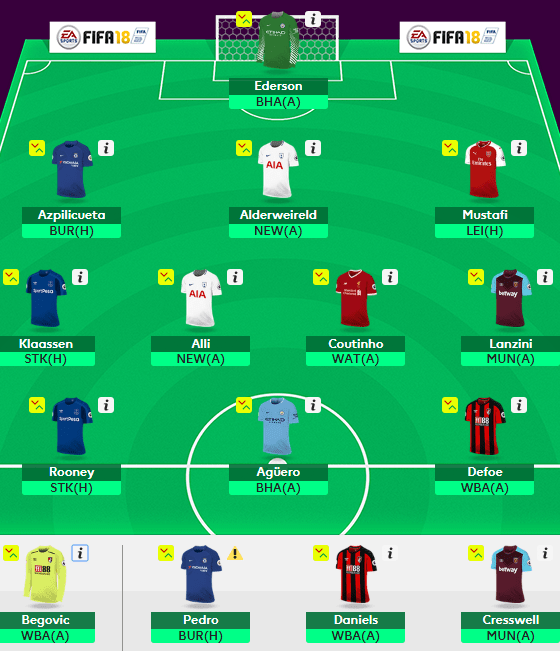 With Aguero, Defoe and Rooney, my front line was set and I was looking to round out my final midfield position when the draft came back to me for the 54 selection in the draft. I turned to West Ham, and their talented midfield coming down to Lanzini and Arnautovic. While I like what Arnautovic brings to the Hammers from Stoke City, I felt more comfortable with Lanzini to have a break out year running that offense. The midfield now complete, I looked at who would anchor my 5-man defense and turned to last year’s champions, Chelsea. While Cahill was top on my list, he was drafted prior to my selection of Azpilicueta. Kyle Walker was the other option, but I had some reservation of rotation, so passed for the Chelsea man. However the following round I picked up a former teammate of Walker’s in Alderweireld, which strengthened the defense that would start the season for me. In reality, I wanted Vincent Kompany but failed to see him just down the list from Alderweireld. In retrospect, Kompany has struggled for fitness over the years, but as healthy Kompany will provide big returns, but can he stay healthy? With Spurs playing at Wembley this year, one can only hope they can repeat the season with 17 clean sheets, a feat I fear they won’t accomplish. Continuing with defense I contemplated picking up the man without a team, so to speak, in van Dijk but his uncertainty didn’t sit well with me, as I know he won’t pull on a So’ton jersey this season and didn’t want that in my potential third starter. Other options I considered were Stones, who was a potential rotation risk and didn’t shine last season with City, Alderweireld’s partner, Trippier and Mustafi of Liverpool. Looking a few rounds ahead, I was hoping to secure the services of Ederson, so I bypassed Stones and took the Arsenal man, in hopes he’s cemented in a starting role for the Gunners. He played 26 games last season but also caught 11 yellow cards. My last two defenders I felt were stronger attacking assets than the first three defenders I selected and was pleasantly surprised to see them in the later part of the draft. Charlie Daniels took up the fourth spot, as one of the top returning defenders last season with 134 points! Lastly, I went back to a favorite from 2 years ago from West Ham, Aaron Cresswell, who put up 133 points on 2 goals/4 assists and 11 clean sheets in 2015/16. Like how the Hammers are looking and feel he is real valued added to this squad. In between the posts I was able to secure the services of the new boy, Ederson for City, a player I was considering when drafting defenders in the earlier rounds. I feel City could put up 18-20 clean sheets this season and Ederson will be a big part of that defensive success. Finally pick to finish out my 15-man squad was for Chelsea keeper, now at Bournemouth, Asmir Begovic. Much like Cresswell, he has been very successful in previous EPL season 144 and 136 points in the 2012/13 and 2013/14 seasons. Pleased with my draft, I feel I have a very competitive team. 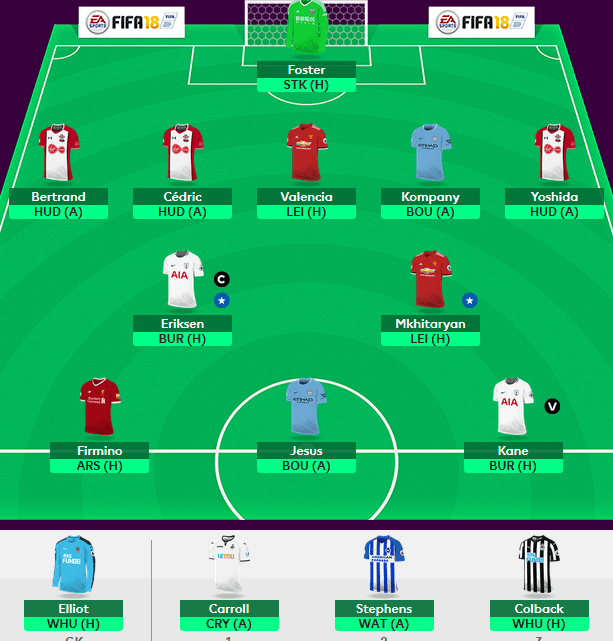 I have not looked at the other 7 squads in my league, but feel I will be at or near the top all season long with quality and talent; Aguero, Alli, Coutinho, Alderweireld down the center of the pitch. Here is the full team and how I anticipate I will run them out for GW1. With a solid bench, I will have many good options available. What I don’t like about the draft, the fact there are still playing coming and going in the EPL. Morata and Danilo are still not available in the game. That could potentially be crucial, the same could be said if someone of Sanchez of Countinho quality transferred out of the EPL, could potentially damage a team. Currently, I cannot put a claim in for either player, but rest assured I would not hesitate to add that quality to an already strong draft team. Not sure how closely I will follow the draft game, as I feel I have the superior team in the league. We will see how I fair and I will follow it weekly with a retrospect, much like I do with the traditional game. Today fantasy managers receive some answers to their burning questions as it relates to the newly announced FPL Draft. 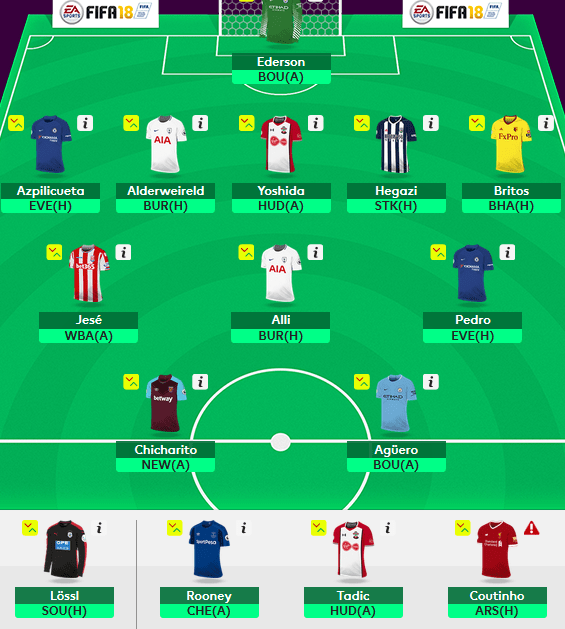 As the name says, fantasy managers will now draft their squad of 15 players, using a snake style draft, seen used in fantasy (American) football. League size, draft date and draft order will be set by the league admin. 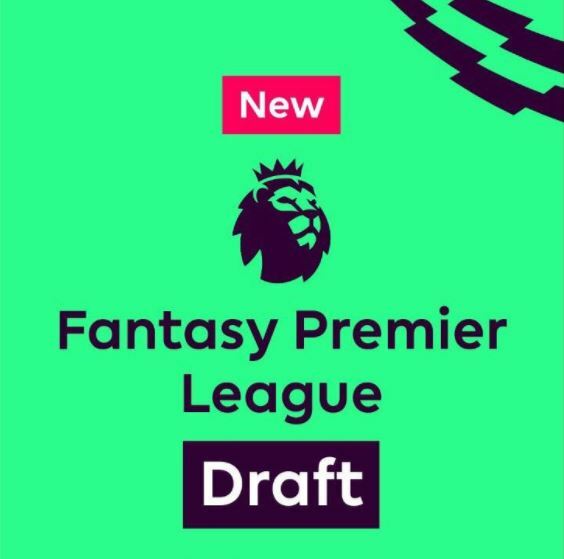 The big difference between FPL Draft and the traditional game is “Each Premier League player can only be in one league squad” as described in the FPL Draft – What you need to know. This style of fantasy play is what I have experienced the last 37 years, as a league admin for NFL fantasy football. Unlike the traditional game, much more preparation is key to solid draft. With that said, as I highlighted yesterday, the player pool is much smaller than that of it’s American counterpart. Depending on the number of teams in your league, you could ride your top few draft picks all season long. I disagree. Here’s why. First the opportunity is there for cheating. If you own multiple teams in your league, transferring your better players between teams will give you an unfair advantage. Even with 8 teams, premium players are few and far between. As mentioned last season there were only 6 players in excess of 200 points. Chances are no one will be willing to trade their top talent away. Second, in my experience, again coming from fantasy NFL football, with the advent of a waiver wire and free agency pool, very few managers propose trades. With the squad size limited to 15 players, an 2-for-1 type trades will require one manager to drop a player in order to see a trade approved. I don’t think this one feature will see draft fail. But it’s surely something to monitor once the season is under way. Using the players listed over that’s the top 8 players from last season. While the talent level will still be borderline “premium” based on scoring players outside of this top eight will be a lower tier. So even in an 8-team league having the overall #1 draft pick is very important. It will get you a top EPL player to build your squad around. Draft day is typically the best day of the season, just like the launch of FPL, which commences the week of July 10th this year. Over the years our fantasy drafts usually consisted of all 10 managers getting together in one spot and drafting. More recently that hasn’t been the case, so an ‘auto draft’ sequence is initiated by the manager and players are selected from a pre-determined list they set. FPL Draft will use a watch list feature, which will represent “top targets for each position.” Any period in which you are absent from the draft players from your draft list will be selected. Transfers and free agency is where you will win your mini-league this year. This is usually the case, since adding a waiver wire/free agency pool in our fantasy NFL league, manager use this feature weekly, where as trades are much less common than they used to be. A “wavier request” is submitted to add a player from the available player pool. Multiple managers can put a request in for a specific player, but only manager will be awarded that player. The manager with the lowest standing will claim the player. There is only one waiver period per week. Free agency will open after waiver wire request have been processed and “24 hours prior to the Gameweek deadline.” This is where a bulk of the transfer activity will take place. Managers filing claims to bring in the latest bandwagon player or transfer out an injured player. This is where you team is built, as there will be good talent waiting to impact your team. Looking over the Q&A from The Scout, there are many similarities to that of fantasy NFL football, which I am experienced in. It will be very challenging to put together a winning squad and not all strategies used in the traditional game will necessarily apply in the draft game. As mentioned before the most important part of this game is the draft. While free agency plays an role in the game and eventually outcome, how players are ranked, either by position or overall for the upcoming draft will be key to your success. We have just the final point totals of last year to work off. New players have transferred in to the EPL, such as Alexandre Lacazette. Does he immediately become a top tier forward, the likes of Aguero? Diego Costa could be on his way out from Chelsea as well. Lots of research to do before draft day.